Hope you are having a great day! Wish I could share the wonderful sunshine we have today with all of you. 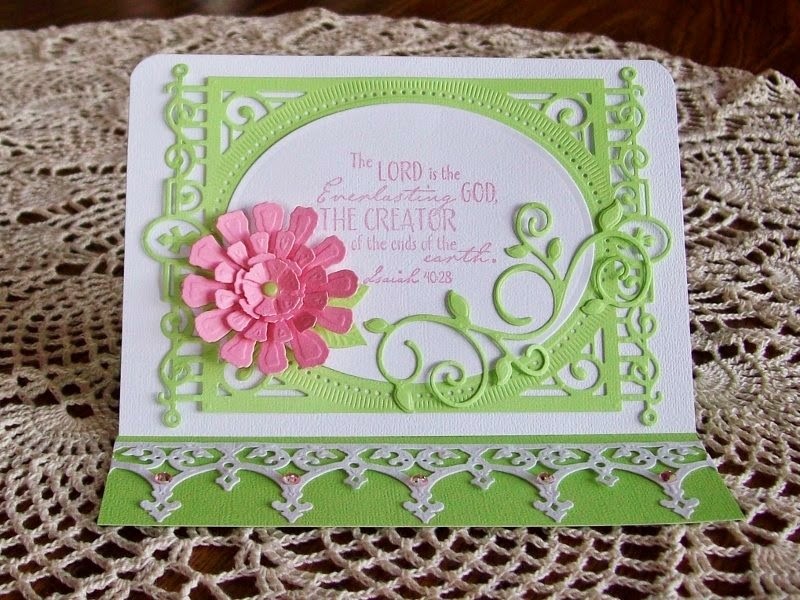 This morning, I have a card for the Inspiration Challenge at Our Daily Bread Designs. This time ODBD gave us two photos to use as inspiration in creating a card. I chose the one below because I was so drawn to the gold-taupe-tan color scheme. 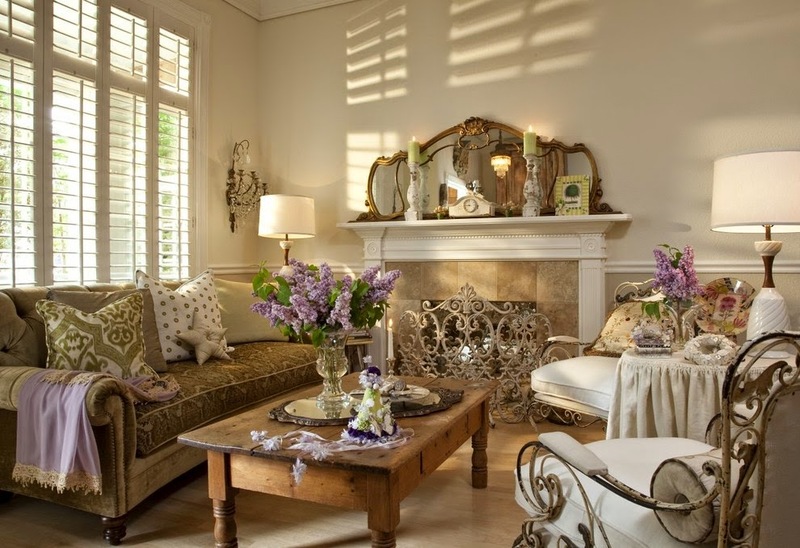 This is not my usual color preferences, but this room was so beautiful. I used ODBD's Fancy Foliage die cut and also their Earth Verses stamp collection. Thanks so much for stopping by. Makes my heart happy to know you are popping in from time to time. Today, I have a card for the Stack-a-holic challenge at DCWV. 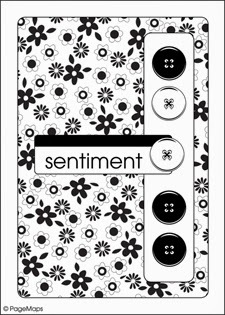 I created this card using The Home Spun Stack - one of my favorite stacks! I'm going to have to get another one soon as this one is getting all used up. That calls for a shopping trip, don't you think? I can't run out of cardstock! I love this stack because it already has score lines. I really like how it looks when I emboss over the top of it. Makes me look so talented, no!?! I used two different embossing folders. The smallest dark pink panel has smaller details that fit it better than the larger one. I used foam tape to adhere the larger panel to the card. The sketch (below) had buttons on it. Most of my buttons are darker colors and I wanted something light and summery, so I made my own buttons using this same stack. When I got the circles made, I put them upside down on a mouse pad and used the back end of a paint brush to lightly emboss (?) them to give them the look of real buttons. Then, I punched two holes in each and threaded them with ribbon. I adhered them to my small panel with foam tape. UPDATE: Excited to learn my card won the challenge. Thanks so much to ODBD for such fun challenges. Hope you are having a wonderful day! Thanks so much for taking a minute to visit my blog. 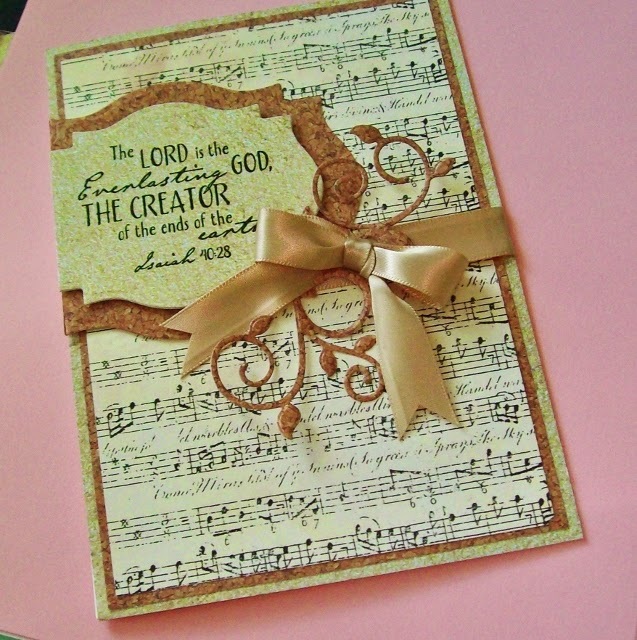 Today I have a card for Our Daily Bread Designs Challenge. The goal of this week's challenge is to use at least four of the letters of the word 'flower' as a recipe for our cards. Here is what I came up with. 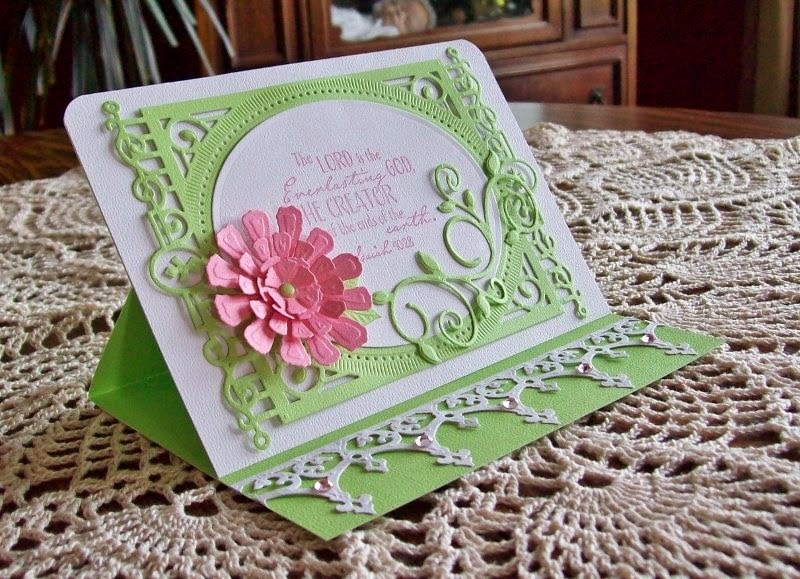 This easel-card was a fun card to make. I really enjoy making my own embellishments like I did here with the flower. And, I made color-matching 'diamonds' by coloring clear gemstones with one of my Copic markers. 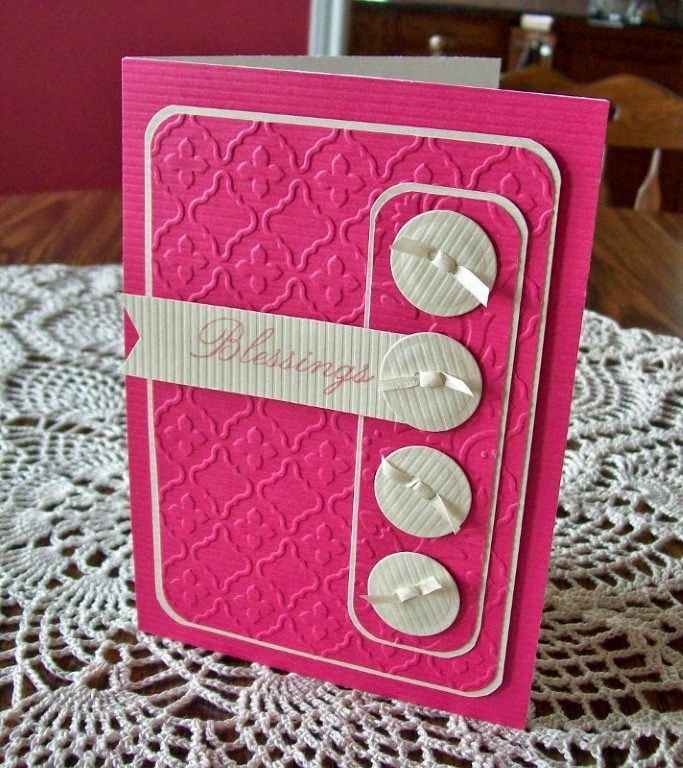 I created the other die cuts using Spellbinders dies that I recently won in a blog hop. Beautiful dies and they make me look so talented.